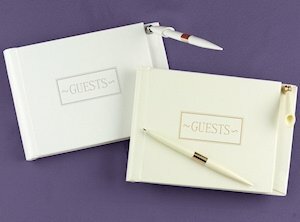 Simplify the guest book table! 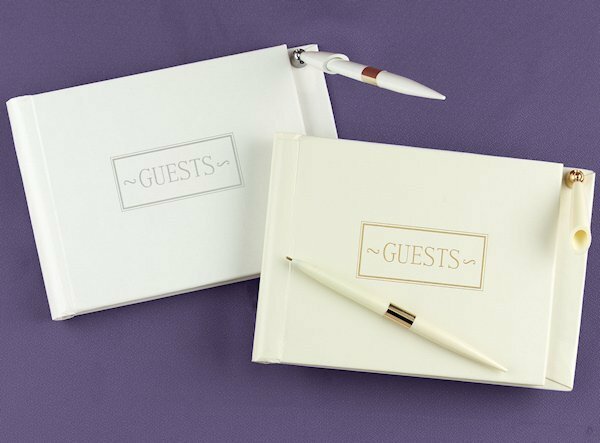 Our all-purpose 8-1/2" by 5-3/4" guest book set is all-inclusive for your convenience. The book cover includes a foil stamp, attached pen base and matching pen. 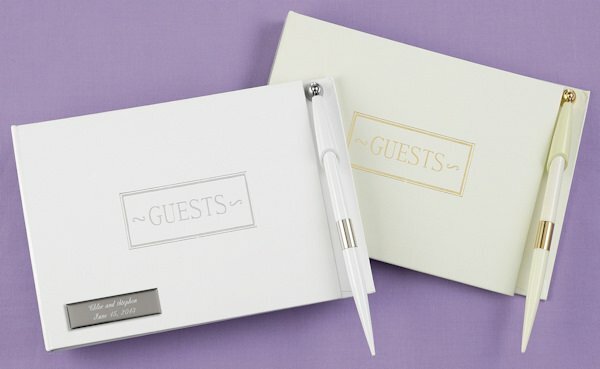 The white guest book has a white pen that has silver accents. (Please note: the ivory guest book is no longer available.) 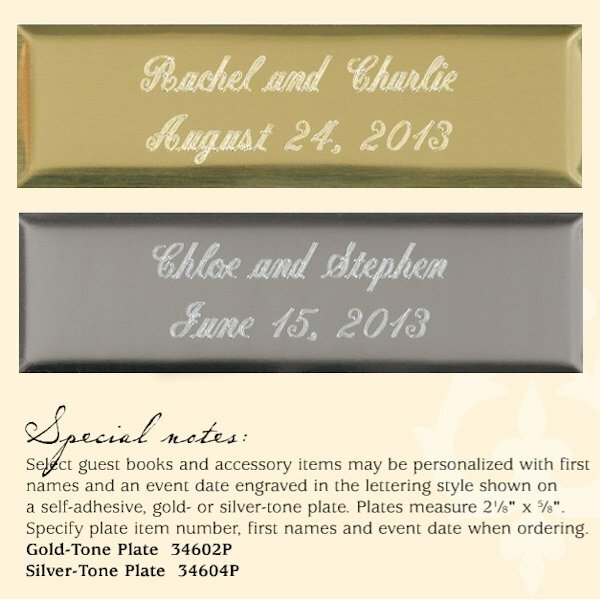 This guest book has 64 pages for guest signatures and special messages to the happy couple.